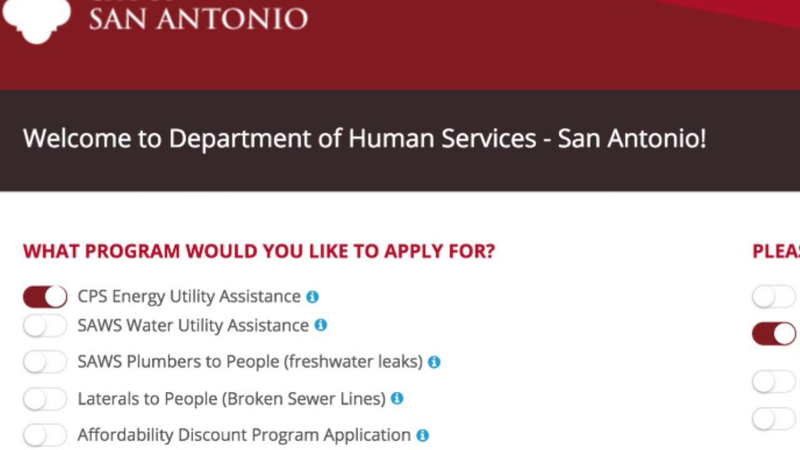 SAN ANTONIO - Residents who need emergency utility bill assistance can now file an application online. The city of San Antonio's Department of Human Services staff and technology partner Kinetech demonstrated Wednesday a new electronic application that helps CPS Energy and San Antonio Water System customers with a faster and easier way to avoid getting their utilities shut off in case they can't pay the bill right away. Until now, customers had to apply for the program by filling out a paper application in person or mailing it. "It cuts down on processing, and (it's) really a lot easier for the clients," said Richard Keith, of the Department of Human Services. The new technology is a collaboration between the city and Geekdom and is part of an initiative to improve government services using technology. You can click here to fill out an online application.